Gum disease can be scary. At La Costa Dental Excellence in Carlsbad, we’re committed to educating and assisting patients in preventing periodontal disease, at it is formally known. If you discover you have gum disease, don’t despair. We can help. Whether you are just being diagnosed, working to undo problems of the past, or trying to prevent gum disease for the future, Drs. Stephen and Kimberly Dankworth have answers. Drs. Dankworth know gum disease can sneak up on you. Regular check-ups and consistent, thorough oral hygiene is critical for preventing the pain and health issues associated with periodontal disease. 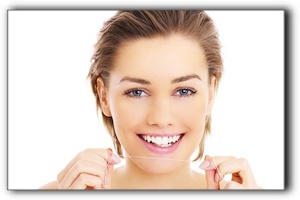 Gum disease can be successfully treated, but preventing it, of course, is best. Drs. Stephen and Kimberly Dankworth are equipped with the education and experience to care for the full gamut of their patients’ dental needs, including sedation dentistry, cosmetic dentistry, and dental implants. Carlsbad Parents: Do You Know AAP Recommendations?